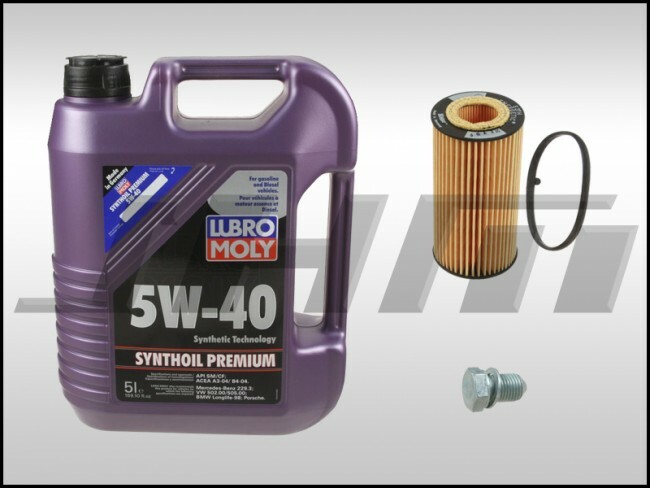 These JHM Oil Change Kits come with everything you need to change the oil in your B7-A4, 8P-A3, 8J-TT MK5-Golf-Jetta-EOS MkV, B6-Passat w 2.0T. You save money by buying all these parts as a kit, too! What's included? 1x 5 - Liter jug of 5w40 Lubro Moly Synthetic oil (same oil we use in all of our in-house Research and Development cars), 1x Hengst Oil Filter Cartridge and gasket (pictured) and 1x OEM oil drain plug and O-ring.